HZone Review 2019: Is HZone a Good Hosting? 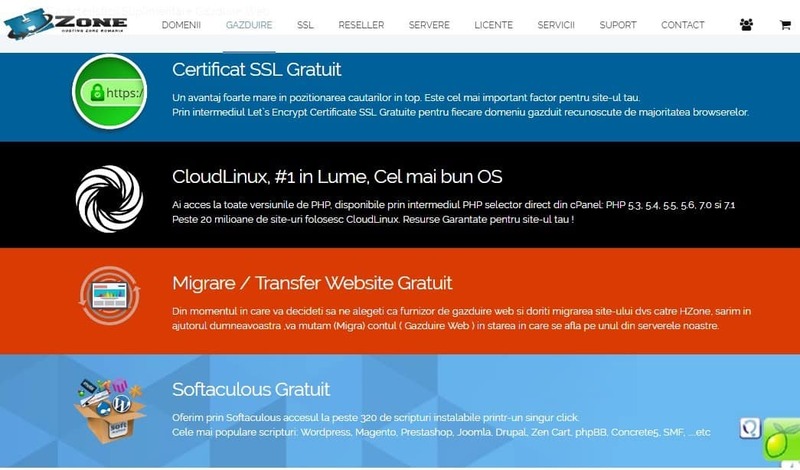 HZone has been in the Romanian web hosting industry for over nine years. The company was founded to offer high-quality internet services, including shared hosting, VPS, and dedicated servers solutions. For the nine plus years that HZone hosting company has been in operation in the Romanian hosting space, it has grown to become a household name. The company has extended its solutions to other countries in Europe, including the United Kingdom, Germany, Ukraine, and Italy. The HZone website is available in Romanian. HZone houses powerful servers with ultra rapid network connections in its data center located in Bucharest, Romania. The vendor only uses the latest high performance servers powered by HP or DELL. Its redundancy internet connections deliver fast, secure, and reliable hosting services. HZone services run on multiple operating systems on both Linux and Windows platforms. They include CentOS, Debian, Ubuntu, Windows Server 2003, and Windows Server 2012. The vendor offers a network uptime guarantee of 99.99%. With HZone’s hosting plans, customers have an option to choose their desired PHP versions from version PHP 4.4 to the latest PHP 7.1 version directly from their cPanel. The hosting provider also includes Softaculous one-click installer in all hosting accounts. Clients can access over 390 pre-installed scripts, and with just one click can install the most popular scripts, including WordPress, Joomla, Drupal, and phpBB among others without too much hassle. HZone offers free daily data backups powered by specially configured RAID servers housed in a different location. This guarantees the safety of data and streamlines data restoration following a disaster. HZone hosting plans are relatively cheap with very few feature limitations, which is good news for all types of customers. The prices are displayed in euros. Customers can subscribe to the vendor’s month-to-month billing cycle. In addition, the hosting provider offers bonus subscriptions for clients who commit with them for over six months. HZone makes contradicting statements regarding its money back guarantee. In its service pages, it claims to offer a 14-day money-back guarantee, yet in its policy page it says its hosting plans come with only a 10-day money-back guarantee. All the same, it offers a three-day free web hosting period. In addition, it offers one month of free reseller hosting. The vendor does not refund any money for activated domains, VDS/VPS, and dedicated servers. Customers can contact the HZone support team via telephone, email, ticketing system, and live chat. The support team is available 24/7 with a pretty fast response time. It comes across as willing and with the necessary expertise to handle practically any hosting issue users might be facing. 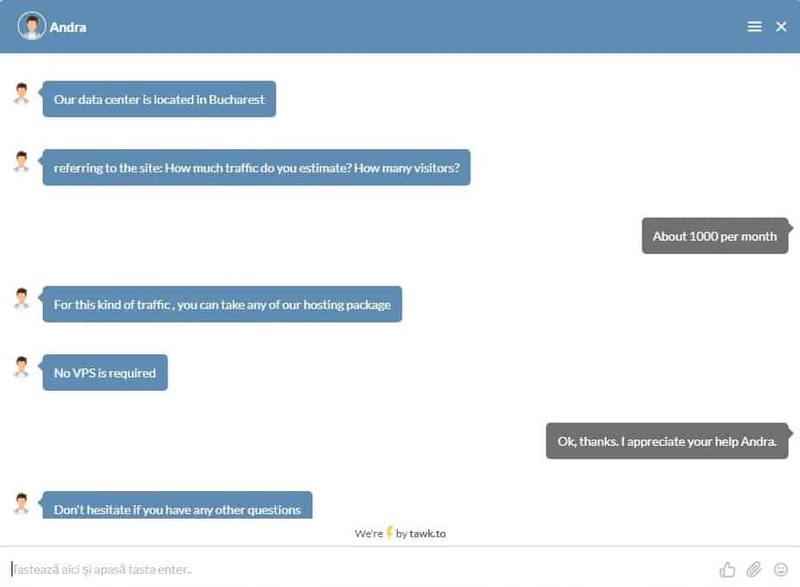 My conversation with one of the HZone support reps via live chat was fruitful. My questions were answered swiftly and satisfactorily. All the same, for more technical inquiries, the vendor requires customers to contact support via its ticketing system. HZone’s knowledge base is not very comprehensive and does not include an FAQ section. With affordable hosting solutions that have very few feature limitations, HZone hosting services are a favorite among small and medium-sized businesses. While the vendor has not captured a big market share in the Romanian hosting space, the vendor’s apparent commitment to satisfying its customers and its growing hosting infrastructure will help it grow into a force to be reckoned with in Romania and beyond. Start your one month free reseller hosting at HZone! Wondering how HZone stacks up against other Web Hosting companies? Enter any other Web Hosting company and we will give you a side-by-side comparison.